Convicts two brothers of murder; also convicts the two along with their accomplice of kidnapping and criminal conspiracy. A local court on Tuesday convicted all three accused in the sensational case of kidnapping and murder of nursery student Khushpreet Singh, who was killed by his neighbours at Burail village after collecting a ransom of Rs 4 lakh in December 2010 because he identified the kidnappers. The court of Additional District and Sessions Judge Atul Kasana, which held them guilty, will announce the quantum of punishment on April 18. Sukhdev Singh alias Sukha and Gurvinder Singh, both brothers, were convicted of murder. Along with their accomplice Nand Kishore, they were also convicted of kidnapping and criminal conspiracy. Five-year-old Khushpreet was kidnapped on the evening of December 21, 2010, when he was walking from his residence to his father’s confectionary shop a short distance away. After searching for him, his parents lodged a missing report. The next day, the family received a ransom call for Rs 4 lakh. The callers said that the money should be delivered at a spot near Desumajra village on the city’s outskirts. The family informed the police which drew up an operation to catch the kidnappers while Khushpreet’s father handed them the money. However, the police botched up: two men arrived on a motorcycle, collected the money and drove away unharmed. On January 5, 2011, Khushpreet’s body was found near Manav Mangal School in Mohali’s Phase X. The post-mortem showed he had been strangled. Already, the people were angry over the police inefficiency. Khushpreet’s murder sparked protests at Burail which ended when some policemen were suspended and a special investigation team was constituted. On March 22, 2011, the police arrested the accused who turned out to be Khushpreet’s neighbours. 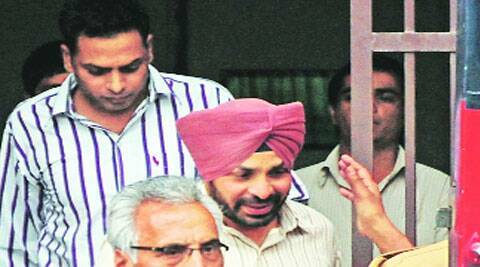 They told the police that they had confined Khushpreet in their house for 10 days by keeping him under sedation. They strangled Khushpreet with his turban when one day, as the effect of the sedative wore off, Khushpreet came into his senses and recognised them. Sukhdev alias Sukha and Gurvinder, who lived just a few houses away from Khushpreet’s house, also owned a confectionary shop. Their accomplice Nand Kishore had simply dragged Khushpreet into the house when he was walking to his father’s shop.